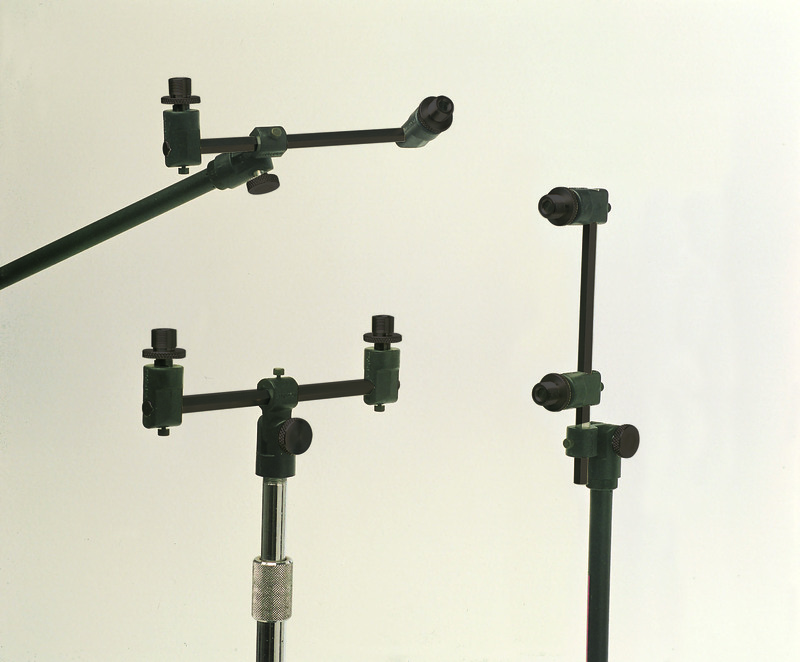 The ST2 microphone mount, consists of two 5/8″ male thread devices and one articulated 5/8″ female thread support, all sliding on a 20 cm. long hexagonal rod. 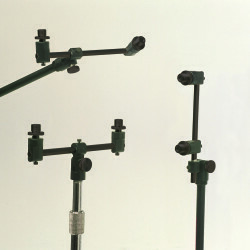 This allows the mounting of two mics on the same mic stand with variable distance and angulation between them. 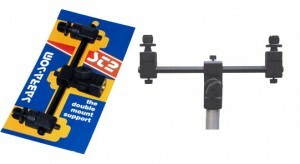 The ST2 can be used to support 2 SSM-1’s in Y position “cross pairs”. Example: an overall sound for drum kits, orchestras, choirs, etc.